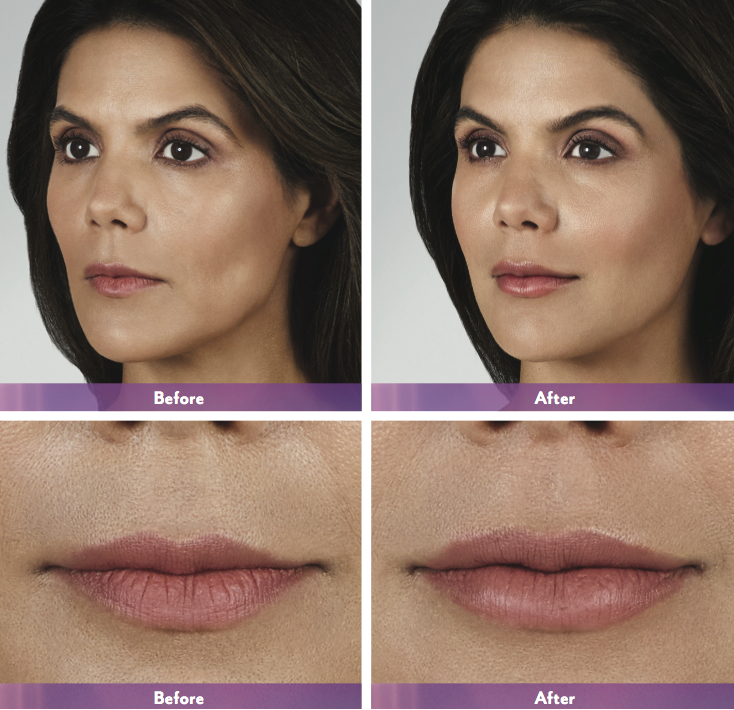 Juvéderm VOLBELLA® XC is the newest filler option to achieve a beautiful lip contour. Its unique formula smoothes vertical lip lines and provides subtle enhancement for soft, plump, and naturally kissable lips. When it comes to looking more youthful, we tend to concentrate on smoothing wrinkles around the eyes and cheeks…but the mouth and lips are not immune to the aging process! 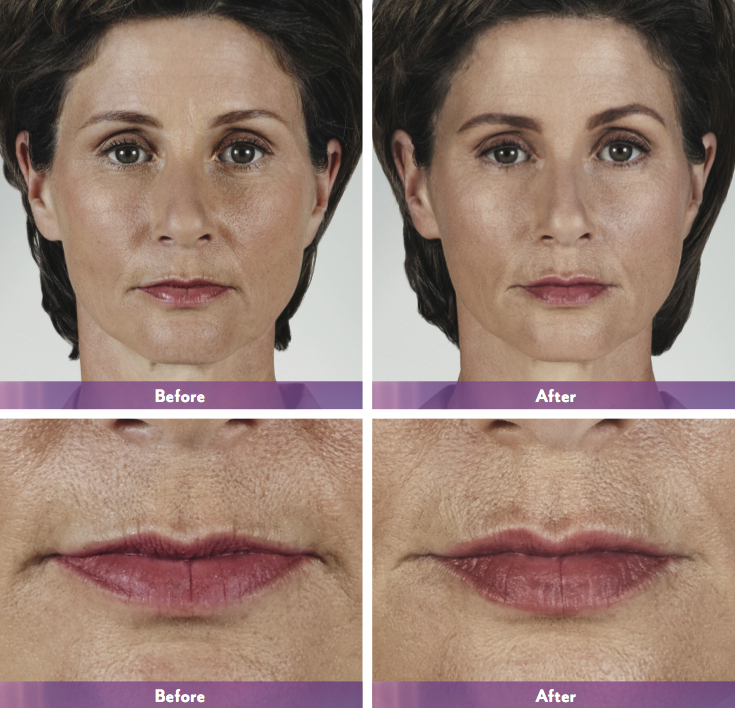 Sun damage, natural volume loss, and smoking can all contribute to thinning lips and vertical lines around the mouth. This can not only affect your appearance, but trying to conceal lip lines with make-up can be time-consuming and tricky. Instead of living with lips you don’t love, consider a safe, effective treatment that can smooth vertical lip lines and plump aging lips for up to 1 year: VOLBELLA XC! The latest FDA approved filler from Juvéderm, VOLBELLA XC is a smooth, soft hyaluronic acid gel that is uniquely formulated to fill the fine wrinkles around the lips and provide a subtle lifting effect. Dr. Sobel performs all VOLBELLA injections personally in our Bellevue office during a quick, 30-minute appointment. After going over your concerns and goals with you, he will help you decide if VOLBELLA is a good fit for your goals. If so, he will prepare the filler, giving you a topical anesthetic to slightly numb the area before treatment. He will then inject VOLBELLA into precise points around the lips to address your specific concerns and achieve a naturally symmetrical lip appearance. VOLBELLA has the mild anesthetic lidocaine built into the product, so injections are not painful—most patients describe a small pinching sensation as the filler is injected. You can return to full activity immediately after treatment; no downtime is needed. Minor redness, bruising and swelling are the most common side effects; these are usually very mild and subside over the first 1 to 2 weeks after treatment. How long does VOLBELLA last in the lips? On average, results from VOLBELLA last about 1 year. You can choose to repeat treatment to maintain your results. Ready to give VOLBELLA a try? Contact us today to schedule your complimentary consultation with Dr. Sobel.